I'll take a nightcap before tucking in, if you'll move the luggage a bit farther back, please. There are 4 replies in this Thread. The last Post ( Apr 23rd 2018 ) by serafina. "If the concept works, and airlines find ways to use the bunks to make money without robbing too much cargo space, bunks could be just the beginning. Airbus also showed plans for a lounge, a conference room, a medical suite, and a kids play zone, all to be slotted into the cargo hold. 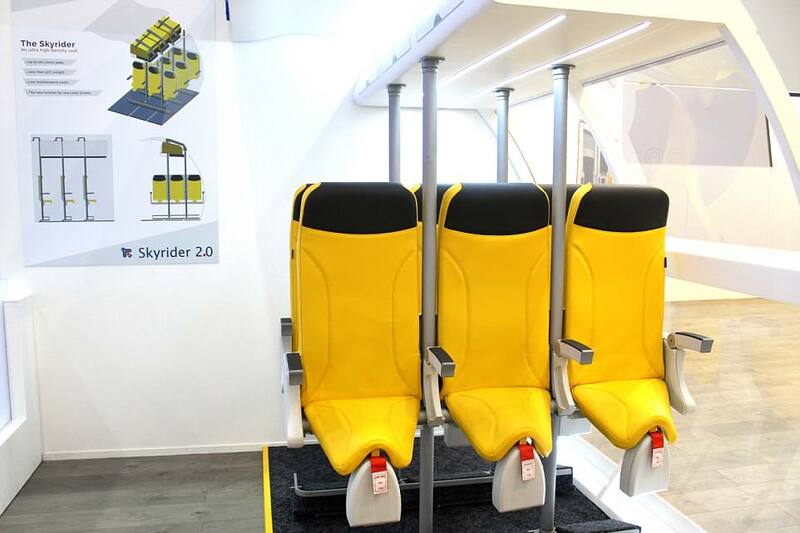 One day, the entire plane could feature swappable modules instead of permanent, regular seats. Airbus’ Silicon Valley outpost, A3, tested hot-swappable cabin module concepts with cafés or spin-class bikes inside. But putting those into production would require extensive modifications to the whole airframe." Do you remember the viral YouTube video of the woman doing yoga exercises on the plane? Maybe she will be teaching classes in the exercise room on your next flight! I remember seeing that idea floated some years ago, but didn't realize anyone was still considering it. This cut line seems odd -- "
"In 2010 Ryanair conducted a poll of 120,000 people and found that 80,000 of them would consider upright seats if they were free." This is an Italian design! I thought you were our friends! You can tone your tights while flying. What else do you want? !